TMT is your path to inspiration! 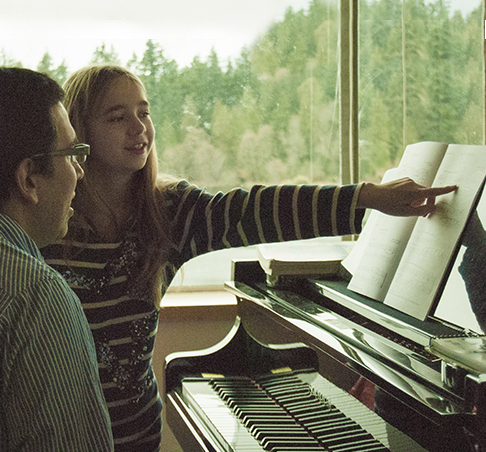 We are a music lessons marketplace, connecting students and families with amazing teachers. Looking for quality music lessons in your home? Or in a teacher's studio? Do you have specific needs? We have you covered! We offer live one-on-one music lessons in all styles and instruments (piano, guitar, voice, violin, cello, flute, etc) as well as lessons in theory, composition, music production, and in every major music field. We are experts in helping you find the right fit. See why hundreds of teachers and students across Canada prefer to connect through us. We have your perfect match. Get to know our teachers by reading detailed profiles and testimonials. Or refine your search by location, rate, level, age, instrument, or language. All of our teachers have been personally vetted by us and we can vouch they are fantastic instructors, highly qualified and with years of experience. Plus, look for our special badges indicating that a teacher has undergone a background check or academic credential verifications. Enjoy peace of mind. Music lessons with a teacher you can trust. With your teacher and start your lessons! Want to be a Top Music Teacher?